SunRail train tours wrap up this weekend with one final open house before new service starts the end of July. It’s happening Saturday, June 30 at the downtown Kissimmee SunRail/Amtrak Station at 320 Pleasant Street. The event goes from 5 p.m. until 9 p.m. It’s expected to be another big draw, as the three prior open houses have seen big crowds. 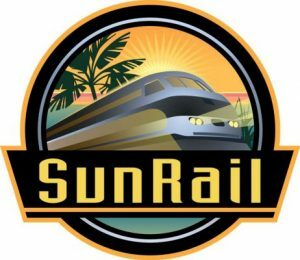 New service is scheduled to open Monday, July 30, and the train tours provide prospective riders with a taste of what SunRail offers, including information about its 17-mile southern expansion. The new schedule, which begins July 23, is being rolled out at the trains tours as well. Connectivity information is also available. SunRail currently runs 32-mile daily service, stopping at 12 stations, Monday through Friday, from the DeBary Station in Volusia County to the Sand Lake Road Station south of Orlando. For more information about SunRail, including fares, station locations as well as schedule and hours of operation, please visit sunrail.com. Please be careful around trains, railroad crossings, and while at station platforms. Be smart. Be safe.